With the internet revolution, having a responsive real estate website is quite necessary for the owners. And with the increasing demand for Real Estate Web App Development, a wide range of option is available. Being specialized in application development, good website development company must know and make realtor understand the benefits of using right tools depending upon the exact requirements. There are many tools available for the website app development, but it must pose functionality like great SEO titles, description, maps, direction, contact information, analytics and professional approach. Well, in order to achieve these mentioned functionalities, specified tools available that helps in making responsive and advanced website. There are many time when, developers has so many ideas but, no as such coding ability or sufficient time. If you are ready to launch a new website for your startup, personal blog, portfolio or anything else, getting things up and running can often be daunting and expensive process. This is a set of guidelines for electronic property listings that help to standardize the way software interacts with MLS data. In General, it is used by software developers and programmers to develop applications and services to hold the benefit from various components of the framework. With the advancement of technology, people are also getting smarter and wants premier solutions for real estate. With RETS, access to near real-time data is easy and hassle-free, which is a premium service offering. Now, the daily FTP files is an outdated service. RETS clients keep updating the new data in every five minutes, which display the most accurate and timely live data on their websites. MLS vendors support RETS’ role-based security, making data secure without worrying for data vulnerability. The RETS-MLS help to clean the website by letting the expired image get removed from the website. For instance; one of the RETS matrix modifies date wise expired image with the new image. In general, RETS feed is a direct connection to your MLS. The listings on your site are indexable by search engines. This increases the website ranks for relevant web search. An Internal Data Exchange enables property seekers to search for MLS properties in an area. It encompasses the policies, rules and software governing. This means how the listing are being shared with people online. IDX - an umbrella term that embraces policies, standards, and software concerning the display of listing information on websites. IDX is an crucial tool for brokers and Property Agents. It enables the members of multiple listing services (MLS) to combine real estate listings from the MLS database to own websites. Especially it beneficial for agents and brokers. It's a win win strategy for Agents and brokers using this tool. It allows them to share the most pertinent, appealing listings in their markets on their websites to attractive prospective buyers. Maponics is an excellent tool for real estate that helps to rolls out data products, making it possible for users to look for homes in distinct communities. For instance; property seeker wants to view “social objects” nearby property such as hospitals, school, Playgrounds, national parks, and military bases. For real estate - many Mobile App Development Company envisions to integrate different data sets to develop “valuable, extremely localized and systemically layered geographic views to quench consumer's request. Further, merging that information with proprietary aligning the characteristics and interests of customer. This will provide better understanding for location data and analyze patterns of behavior. One of the very dynamic real estate software, Zillow Premier Agent is one of the most searched advertising tool. It allows to promote listing and further let to connect with new clients, both buyers and sellers. Zillow Premier Agents get the benefits of being shown, as the exclusive agent for a listing and are able to advertise on local Zillow listing. For instance; when it comes to search real estate website development related stuff, people in America prefered to search Zillow on Google. Powered by WordPress, agents can easily create a personalized website without the need for web expertise. Zillow provides many real estate marketing tools and opportunities, both free and paid. The developer can take benefits of the free tools to experience the positive results. The Google SketchUp, enables to view the detailed properties. It enables visitors to view listings in 3D. this will also include the surrounding areas. We recommend you to list your SketchUp images to your Google Earth listing, and make your visitors experience the wow feel of the website! In general terms, Google SketchUp is referred to as an ideal tool to visualize concepts. When you create a form out of a vague concept, initially you sketch and redraw, review and improve. With SketchUp, developers are free to make changes with easy tools. The market is flooded with wide range of tools, but it’s necessary to understand what fits your (being a real estate agents or owner) requirement. 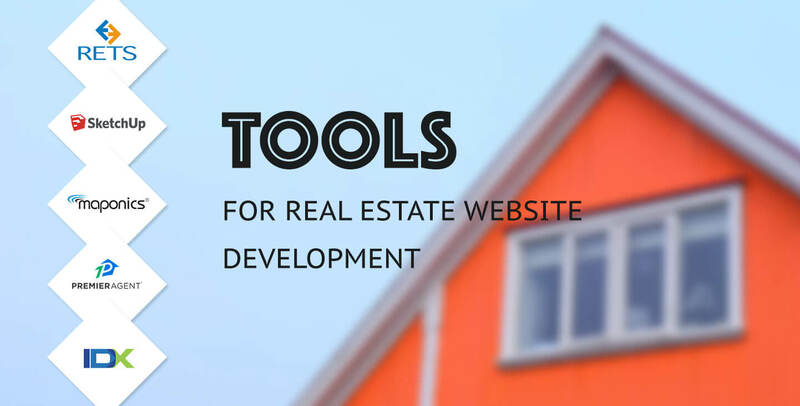 Well, to help you out, we’ve reviewed some of the best real estate website Development tool and how these essential tools helps to make excellent user experience engaging users in an effective manner. Drupal Commerce: How It Can Benefit Online Store?